Make your donations to the Lynchburg Community Foundation today! Establishing A Fund Is Easy! Creating a fund with The Community Foundation is simple. Just give us a call @ 434.845.6500! The Greater Lynchburg Community Foundation provides for the administration and the investment of gifts and bequests for the benefit of the City of Lynchburg and the Counties of Amherst, Appomattox, Bedford and Campbell. Needs served are broad in scope including human services to children, youth, the needy, and the elderly; education; health; the arts; and the humanities! The Greater Lynchburg Community Foundation exists to promote local philanthropy and to simplify the process of giving. The Foundation receives and manages permanent gifts for perpetual benefit of the Greater Lynchburg area. 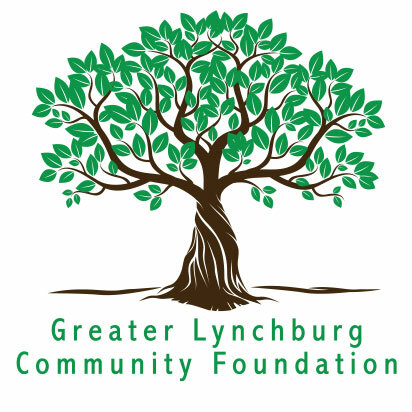 The Greater Lynchburg Community Foundation currently consists of 124 Special and Unrestricted Funds. Trust assets are managed by: Bank of America, BB&T, SunTrust, Wells Fargo, Flippin Bruce & Porter, Scott & Stringfellow, Wells Fargo Advisors, First Citizens, Davidson & Garrard and Pettyjohn, Wood & White, Inc. The Greater Lynchburg Community Foundation is one of more than 750 community foundations nationwide rendering a valuable service to their respective communities and to donors interested in the present and future of their communities and their neighbors. The Greater Lynchburg Community Foundation meets National Standards for operational quality, donor service and accountability in the community foundation sector. As of January 1, 2018, The Greater Lynchburg Community Trust will be known as the Greater Lynchburg Community Foundation to better reflect its mission. We are excited about this change, as we continue to strive for the enhancement of all of the communities we serve. PLEASE NOTE: Our domain name has changed to https://www.LynchburgFoundation.org.